Created by the Monaco Town Hall in 1966 for the Centenary anniversary of the Monte-Carlo district, the renowned International Competition of Musical Fireworks of Monaco takes place in the summer time, with four dedicated evenings over the summer in the Monaco sky. The competition, which is the first award winning competition created in French Riviera, gives rise to high quality pyrotechnic shows every year. Of all the fireworks festivals over the world, it is the one that gathered the most different nationalities and competitors so far. In 1996, for its 31rst edition, this pyrotechnic competition becomes pyromelodic. Rhythm and music are added to fireworks. A high power sound system is installed on the whole Port Hercule, in order to allow the public to enjoy the mesmerizing shows from Quai Albert 1rst. In 2018, the Competition’s name changes into Monaco Art en Ciel. 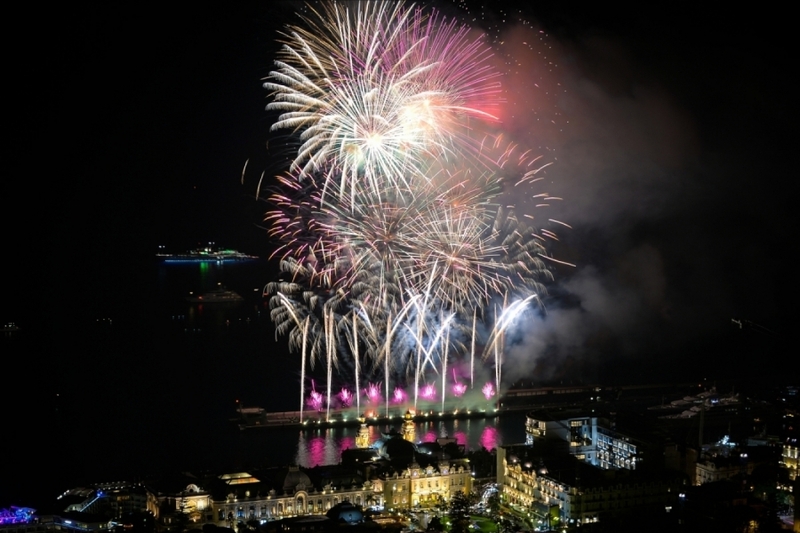 The Town Council wanted to give the prestigious event a true identity through this new name, which recalls the colors that will light the Monaco sky during the summer with four high quality pyrotechnic shows. Two shots are scheduled in July (at 10pm) and two shots in August (at 9.30pm). Before and after each shot, at 8.30pm and 10h20 in July and at 8pm and 9.50pm in August, free concerts will be performed. The Jury, composed of some Town Council members and representatives of the civil society and the artistic world, is headed by the Mayor of Monaco or one of his Assistants. The Public Prize is also awarded, resulting of the public’s vote on the Internet. The pyrotecnicians, after having declared their candidacy, are chosen by the Town Council. The four selected societies will express their art from Quai Rainier III (the semi-floating dike) and gather their creativity and imagination to present high quality shows, of 20 minutes each. Every five years, winners of the past years come back to Monaco for the Winners Competition. This Competition is organized by the teams of Espace Léo Ferré.